Santa is a staple of Christmas, as is giving gifts. Spend your time expanding your generosity as you celebrate the very thing Santa does best. 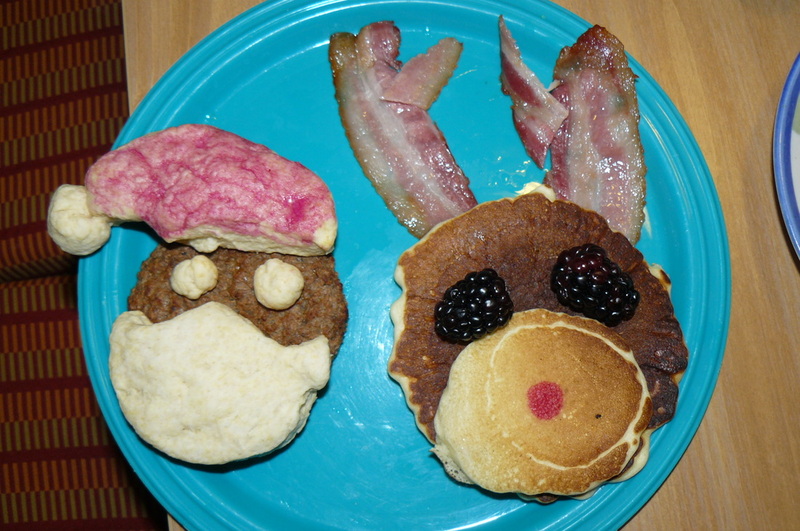 Have fun with pancakes, bacon, sausage and biscuits as you deck out Santa and Rudolf for dinner. 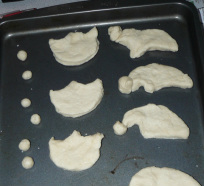 Use a cherry or red syrup for the reindeer nose. I wuld suggest making a mustache and/or mouth for Santa too unless you like the 'bandana' Santa look we have going on here. Simple biscuit mix shaped into the hat and beard made it fun. Use food dye colored butter to 'paint' the hat red. You can even use egg wash...that's just messier in our home. 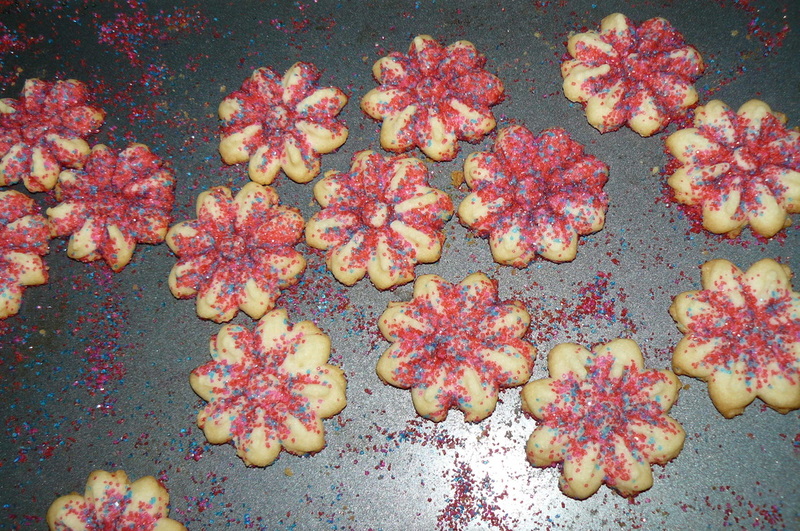 Dessert: make cookies or snacks. Whatever you plan on giving away. Whatever you choose to be your 'packaging', spend some time decorating it with Christmas love. We used old plastic containers and painted them white. 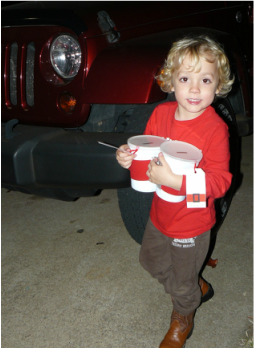 Then wrapped them with red ribbon and attached a paper 'buckle' and Santa tag. Get your Santa Tag template here. 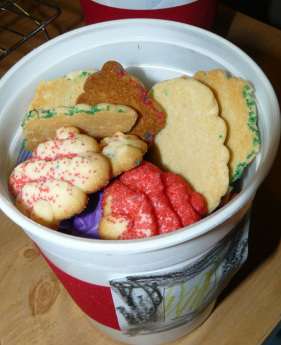 Pick someone to deliver your goodies to as a family. We picked our neighbors. Other options are a workplace, a bank, firefighters & policeman, local hospital, nursing home, local school teachers, etc.